Interests - Playing with dolls, drawing/painting, animals, dancing, jigsaw puzzles, cartoons, stickers/books, playdoh, crafts, Disney/princess, fairies and anything girly. Amelia passed away on the 17h of March 2007. Thank you to everyone who wrote to her. On the 8th of February 2005 Amelia was diagnosed with cancer, on the 14th of February it was confirmed Amelia had Neuroblastoma stage 4. Treatment began straight away and Bristol Children’s Hospital became home for Amelia and her parents for the following months. Amelia had numerous scans and tests, received chemotherapy, radiotherapy and an operation to remove a tumour from her Adrenal Gland. Amelia’s bone marrow was aspirated followed by more Intensive Chemotherapy and 5 weeks of isolation in the BMT unit (bone marrow transplant). Eventually Amelia returned home with her parents and brother Jacob. She still had to return to the hospital for check ups and did have to stay in hospital when she had high temperatures. After further tests on the 1st of June 2006, the results came back; Amelia no longer had Neuroblastoma in her body. Even through the results were clear Amelia would still have regular checkups. 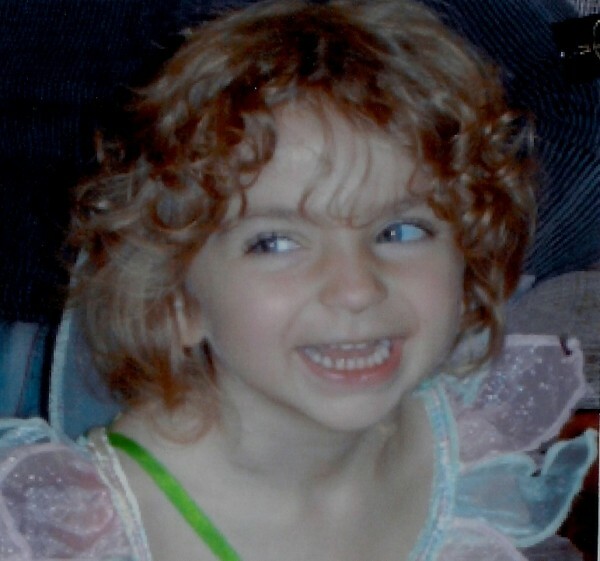 Unfortunately on the 4th of September 2006, a scan revealed the Neuroblastoma had retuned. Amelia has now got two tumours in her liver, and it is also in her hip, leg and scull. On the 21st of September Amelia was back in hospital having a Hickman line put in ready for Chemotherapy to begin on the 26th September. Amelia is a determined little lady and hopefully she will fight this awful illness again. After a long and brave battle, Amelia finally lost the fight. On Saturday the 17th of March at 8.15am Amelia closed her eyes and finally fell asleep. She was very comfortable and peaceful and now all the pain has gone. She will always be in our hearts and be Mummy, Daddy and Jacob’s little princess and we thank her for giving us 4 years of her magical life. We love you Amelia always and forever. The past ten days has been very strange, and as usual Amelia has confused many people. On the Sunday evening, for the first time in over 6 weeks, Amelia decided that she wanted to go out! So we had to carry her down the road to her Nannies house. The rest of the week she has been totally different from the week before; Amelia became quite chatty and a lot more alert. For the last 2 weeks Amelia has been asking for a happy meal every day, I am now starting to get recognised in McDonalds! Amelia has really kept us on our toes giving orders, asking for any food she fancies and getting us to endure hours of cbeebies or Willy Wonka; which we don’t mind as it keeps her happy. Over the weekend there has been a dramatic change in Amelia and we have been able to see her health deteriorate daily. She began to go slightly down hill on Saturday and has continued to do so as each day passes. The last few weeks she has become very weak but still has so much fight in her we have to take every day as it comes as we need to cherish every last second. Nobody can work out where all of her strength comes from but she is so strong in courage and will and that is what helps us to stay strong, although it is starting to get hard. We would like to thank everyone who has sent post and parcels to Amelia & Jacob as it has put a smile on their faces and brightened their days. On Saturday we felt really proud as Amelia received a lovely award called the “little star” award from Cancer Research. She is unable to open the post herself but manages to ask if any has arrived when she sees her Nan. Thank you also to everyone that has taken time to sign Amelia’s guestbook and leave messages. Your words of support and comfort are greatly appreciated and it means so much to know there are so many caring people thinking of us during this difficult time. Over the last few months Amelia’s health has been slowly getting worse. We were told that there would be nothing more that anybody could do as the neuroblastoma and the treatment was too strong for her little body to cope with. This has been such a hard thing to cope with for everyone as she has touched so many lives and her positivity has been such an inspiration to everyone who knows her. Jacob is now aware of the situation although I’m not sure how much actually sank in. He has been such a brave little man and he gained his 100 metre badge in swimming on Wednesday which I think is absolutely brilliant for someone who is only 7 and going through the things that he has. Over the last couple of weeks Amelia has been put on 24hour constant pain relief and has now become quite weak, but her spark still shines through! We all love her with every bit of our hearts. Thank you all for the gifts and cards that Amelia & Jacob have received they mean so much to both of them and we really appreciate it. The first thing Amelia says to her Nanny Peasedown when she visits is “Have you got me any post?” When she gets her post it really does cheer her up. This week Amelia received a glove puppet that had been made for her, she loved it and chuckled when her Nanny put it on her hand and talked in a silly voice. We would like to thank all the kind people who sent cards and presents to Amelia for her 4th Birthday. They were all greatly appreciated and she loved them all. A special thank you to Project Linus for the beautiful quilt they sent, Amelia loves it. Thank you also for the gifts sent to Jacob, it’s so thoughtful and generous of you all. Once again thank you all for your generosity and for brightening up Amelia’s day and putting a smile on her face. We would like to thank everyone that sent cards & gifts to Amelia for Christmas. She loved opening all her post and we read every card to her. It’s been a while since the last update but we have had quite a hectic time over the past few weeks. Amelia eventually came home from hospital on 14th November and she was having IV paracetamol every 6 hours for pain relief. Leah was taught how to administer it through her wiggly (central line) as Amelia will not take oral medication. Amelia’s wish was to go to Euro Disney and stay in the Pink Disney Hotel. On 3rd December her wish came true; this was thanks to family and friends holding fundraising events. We were overwhelmed by how much time and effort people put into making Amelia’s dream come true. It has meant so much to us and don’t think we will ever be able to thank them enough. We had a fantastic time and the most magical moment was Amelia’s amazement when Minnie Mouse came to our room and spent at least 20 minutes playing with her and Jacob. A couple of days after our return from Euro Disney Amelia started complaining about pains in her leg. She was given Diclofenic Suppositories or whoops-a-daisy medicine as Amelia calls it combined with the IV paracetamol. This worked for about a week and then the pain returned so we took her to the hospital. They gave her Fentonyl Patches but as these take 3 days to start working she was given Morphine to help control the pain. We had a fantastic Christmas and both Jacob and Amelia were spoilt rotten. Amelia was in good spirits and loved opening all her presents. News Years Eve we went to Leah’s sisters and New Years Day was spent at Leah’s mums for lunch and my mums for tea. We are now preparing for Amelia’s Birthday on 16th January when she will be 4 years old. We hope to make it as special as possible, each birthday is special and we feel blessed each time another birthday comes around. On 8th February it will be 2 years since Amelia was first diagnosed which means she has spent almost half her life fighting Neuroblastoma. Thank you again for all your cards and gifts, we would like to wish you all a Happy New Year. Amelia finished her TVD (3 types of Chemo) on Sunday 29th October and all seemed well. She started her GCSF treatment on Tuesday 31st October and she still seemed fine. When Amelia went for her GCSF on Wednesday they also did a blood test. The results weren’t good and we were told she needed a blood and platelet transfusion. Unfortunately after the transfusions she spiked a temperature of 38c which meant a 48 hour stay in hospital. The temperature went down quickly but her CRP levels went up which indicated she had an infection. By Friday she was really ill so was given a chest x-ray. The doctor told us this was clear. Amelia continued to worsen during the day and we expressed our concern to the Clic Nurse. She contacted the Oncologist who was with us within the hour. She then looked at the x-ray and we were then told Amelia had Pneumonia. Amelia has now been in hospital for five days, she is having three types of antibiotics but is still very low and does not want to eat or drink. It has been really hard seeing her so ill but we’re having to be strong and positive for Amelia. Amelia has now lost all her hair as a result of her last lot of chemotherapy. We weren’t expecting it to happen so soon but it doesn’t seem to have affected her as she has just carried on in her usual bright and cheerful way. On 23rd October Amelia started her TVD treatment. We had to take her to the hospital daily for the Topetecan and then on Friday she was admitted for a 48 hour joint infusion of Vincristine & Doxorubicin. As usual, Amelia took all this in her stride and with a smile on her face. Chemo Duck went into hospital with her, she was so happy when she received him from the kind people at Post Pals. Thanks also to the caring people that have written to Amelia, it has really cheered her up and put a smile on her face.